If you’re booked in for a hearing assessment you may be wondering what to expect. Whether you’ve booked the appointment yourself or you’ve been dragged in by a family member, your first appointment will generally follow a similar format. The article will give you a brief overview of what to expect at the appointment and what is involved in a hearing test. What Happens When You Go For A Hearing Test? If you have past test results related to your hearing bring these with you. 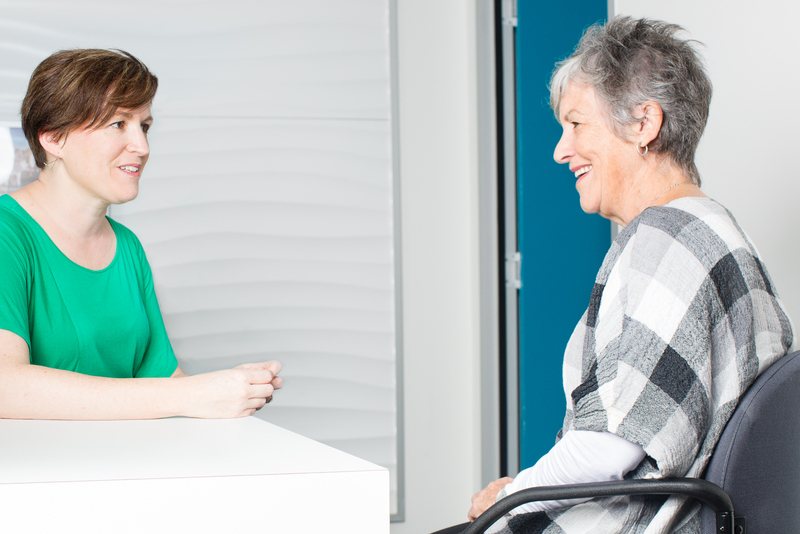 If you have an ENT referral or are being managed under a GP care plan then bring these referrals with you as you may be eligible to claim a rebate from medicare for the assessment. Patients being seen under the Government Hearing Program will be advised what they need to complete before your appointment. Your audiologist will initially collect some information about your primary concerns and the reason for your visit. They will ask a range of questions about any ear surgery, pain, dizziness, fullness, tinnitus, hearing loss, communication needs and general health. If you have a family member with you and you are comfortable with them being involved they can also offer input into your hearing and communication struggles. The audiologist will also ask questions about your past hearing health and any hearing aids or devices you currently use or have used in the past as well as past tests you have had. If you express concerns about your hearing or communication then your audiologist will likely discuss any goals you may have in relation to your communication needs. A hearing assessment will then be completed. Your audiologist will look in your ears to check for any signs of illness or injury or excessive wax build up. They will then complete a hearing test which involves small insert earphones being placed into your ear which produce tones of varying volumes and pitches. You will need to press a button whenever you hear one of these tones. The same process is then repeated with a device known as a bone conduction. This is basically a thin headphone with a piece at the end that sits behind your ear and transmits sound directly to the inner part of your ear. Depending on the results obtained so far your audiologist may complete further testing to establish middle ear function or to examine the neural pathways responses to sound. In most cases the audiologist will also complete some assessments of your ability to hear speech either in quiet or noise (or both). If you wear hearing aids or a cochlear implant then this may be completed aided or unaided depending on the information required. Speech testing may be performed on each ear separately or both ears simultaneously via a speaker. Depending on your reported concerns, audiological needs and the results of testing so far the audiologist may complete other testing or questionnaires to establish your needs and functioning. They will discuss this with you at the time. Once all testing is completed the audiologist will discuss all results with you. Generally the outcome of all assessments is available immediately so you will be able to review these with the audiologist during the appointment and ask any questions. Based on the results and information obtained the audiologist will be able to offer some recommendations on the next step. Depending on the reason for your visit this may include further referral or testing, hearing aid trials, cochlear implant assessment, communication training, tinnitus assessment/therapy or other interventions as necessary. If required, the audiologist will put together a report outlining the testing completed and any recommendations. This will be sent to your referring doctor and you can also ask for a copy of this report for your records. If you would like to book a hearing assessment or have any questions about your hearing or communication needs we would love to help you with this. Contact us to discuss your needs or book an appointment.